I am honoured to be invited to Rotary Club Sydney which is the largest and oldest such club in NSW and has the reputation for attracting interesting speakers to its meetings. I would also like to be one of them, so - let’s start with a little quiz in geography: what is Slovenia? Ex-czekoslovenia? Slovakia? Slavonia? Ex-russian province? Wrong. The answer is no. Slovenia is a Central-European country half-way between Venice (Italy) and Vienna (last time, I checked, this city was still in Austria, not Australia, so we still are not geographic neighbours). It’s a beautiful country between the Alps and the Adriatic sea and it is actually very similar to the New Zealand’s South Island. Slovenia is also a home of the white Lippizzaner horses (you probably remember Shadowfax from the Lord of the Rings). Many of my Australian friends said to me after visiting Slovenia, that it is a hidden treasure of Europe. Perhaps it is even too hidden to notice its fascinating history. Slovenia led an independent state already in 7th century: at that time it was called Carinthia. The elections of Carinthian duke were very similar to what we would call today democratic elections. Believe it or not, but this is exactly a model that Thomas Jefferson took as the basis for the concept of the US presidential elections. 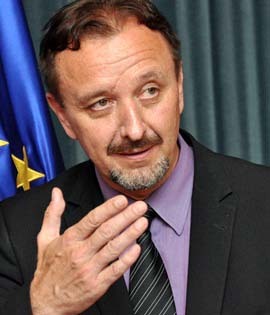 Following this first democratic period, Slovenia fell under the Habsburg Austrian Empire for a 1000 years, followed by Yugoslavia – first as kingdom of Yugoslavia and later as Socialist federal republic under Marshall Tito’s rule, which was effectively a soft version of communist state with open borders to the West and more freedom in comparison with the communist East. The 80’s of the previous century saw the rise of strong democratic movements and in 1990 Slovenia got the first democratically elected parliament and government. The communist regime in Belgrade refused Slovenian proposal for democratic confederation in Yugoslavia. I remember as yesterday that warm evening on 25 June 1991, when an entire nation was on their feet – including me as a MP. The day started not with a pomp and a marching band, but with a convention room full of politicians and press. We unanimously declared and signed the Fundamental charter of independence, breaking all ties with Belgrade and Yugoslavia’s totalitarian communist regime. With this constitutional act we legally established a single supreme authority on the territory of Slovenia. Diplomats received instructions to convince foreign powers to recognize Slovenia as a sovereign nation and a declaration of independence was sent to Belgrade. Back from Belgrade came a declaration of war. In ten days we won the war for Slovenia and surprised the world. We defended our freedom, tore down a few hundred kilometers of the Iron Curtain for ourselves and for Europe. We liberated our part of Europe. We broke away in two key ways: with Communist totalitarianism and with Yugoslavia with its dark Serbian leader Milošević who wanted to turn it into a new type of state with one dominant nation. After 1991 and a short war – that we won - we fully established an independent state - not in the name of our nationalism but in the name of our commitment to democracy. Slovenia joined the EU and the NATO alliance. It was a natural decision for the shared values we fought for in the 80’s, similar politics, economy and security. EU is now a common house: we are like a family with our agreements and dis-agreements, and with solidarity. It’s like a marriage – you are together in good and bad. For Slovenian it is essential is that Slovenia’s vote counts as much as a vote of a big EU players like Germany, France, UK and that the Slovenian language is one of the official languages of the EU. In the last twenty years, from the day when Slovenia voted in a plebiscite to make its own way in the world, Slovenia has travelled a long and successful path. Today it’s among the thirty most developed countries in the world. Slovenia has a highly educated workforce, well-developed infrastructure, and is situated at major transport crossroads. Our export orientated economy hasn’t escaped the European economic crisis, but we are now already on the way to recovery as the government reform package has been implemented. Furthermore: Slovenian companies have in recent time produced numerous successful and highly innovative products. Ever heard of Elan skis, the ones used by skiing world champions? Or Seaway sailing boats and Pipistrel ultra light aircraft? Or perhaps the brilliantly designed Gorenje household appliances? And many other small, but highly innovative companies. Their products are persistently breaking into foreign markets and lend a boutique-type quality to Slovenia’s economy. Our economy is geared towards services, and Slovenia can boast top-class services in the field of information technology, pharmaceutical and car manufacturing. Slovenia is not a big country: it has around 20.000 sq. km (Australia is little bit bigger) and 2 million people (Sydney alone is more than twice of this size), but it is boxing in the heavy league. Or if I use the words from (Australian) Lonely Planet about my country: Slovenia is a mice that roars. Last but not least: Slovenia has a long history of the Olympic Games – including London - with series of medals. 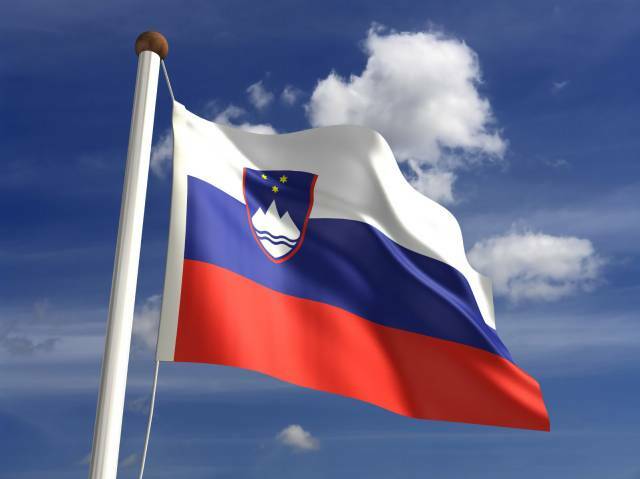 Slovenia remains grateful to Australia for joining the group of countries who were the first to recognise Slovenia as an independent state in 1991 and thus paved the way to Slovenia's world-wide recognition, joining the European Union, NATO, WTO, OECD and many other international organisations. Australia is a great nation of freedom and democracy and even the role-model of economic development. And Australians and Slovenians are working closely together: we have excellent political cooperation on the international stage, flourishing trade and common values. In that name, in the name of security and freedom Australian soldier side by side with Slovenian soldier fights in Afghanistan. Trade between Slovenia and Australia is flourishing – raised by 18% and 19% in the last two years. By the way, Slovenia is unique country in EU by the fact that we have five big Harvey Norman stores there. However, there is still a lot of scope for further development. Recently, two meetings between the Australian and Slovenian Prime-Minister and the two Ministers of Foreign Affairs (in Chicago and Brussels) substantially contributed towards development in that direction. In this perspective I would also like to mention recent successful visit of Australian Federal Minister for Health Tanya Plibersek to Slovenia. EU and US are in the middle of financial and economic crisis. For me this is a period of transformation. But when we talk about the reasons for it the leftists are pointing their finger at the liberal capitalism. A system with human face, they say, a system of morning greed and afternoon charity. For me this is not the answer, it is a question. The utopia of today is the idea that everything will go on like today without serious reforms of structural malfunctions. Instead we need new inventions and re-novations. There is another reason for that. Western liberal democracy and capitalism are facing a huge competitor: so-called capitalism with Asian values, authorized by Lee Kwan Yu of Singapore and adopted by Deng Shiaoping of China. Do you feel a paradox? Apparently only capitalism can save communism. And some people argue that only communist China can save liberal-democratic capitalism. At the end of the day, we are left with a Chinese-style socio-economic system facing the end of historical marriage between capitalism and democracy. This is capitalism that is definitely more efficient, productive and dynamic. But it has on big flaw: there is no democracy. It is authoritarian capitalism. So what will be the answer of the West? I think, the right answer is – REFORMS. I am an optimist. Perhaps there’s an impression that the EU is in terrible crisis, especially by what is presented in the media. But the EU is doing well, it is alive and kicking. There comes a time when we have to focus and pose the right questions. The way how we formulate the questions is the part of the problem. There are no quick answers and easy solutions, just because we are approaching deep dead-locks – not in an apocalyptic manner, but in rational way. Yes, “Houston, we have a problem”. There is a range of burning issues including ecology and climate change, economy and social divisions, segregation and political extremism, biogenetics and ethics etc. · a modest change of liberal capitalism, to expand democracy from political to civil-society and economic level (as a new productive force) is impossible: we will loose our competitiveness, they say. Institutionalized democracy is not strong enough to deal with global economic or ecologic problems. So I think we need to invent new democratic institutions of civil society out of state mechanisms and market for the market. This should be society of democratised democracy and liberal capitalism with Western values: efficiency and high productivity on one hand and social rights, including dignity of working people, on the other. The EU is in an excellent position to achieve that. Famous French philosopher Michel Foucault once paradoxically said: the EU is the continuation of Europe’s wars – but today, on the symbolic level. In other words, the fight continues, but it is a fight with words and ideas. In this framework, Europe is eternal idea, reinvented in every new historical situation. But it is now, that for the first time it has achieved an internal cohesion without a reason of having an external enemy like figures of the Other once upon the time: Islam, Jews, communists, immigrants etc. Within this logic we need to re-invent of Europe. We have to reinvent it by public use of reason, if I recall the words of another famous philosopher – Immanuel Kant. The EU is so much more than bureaucracy in Brussels. The EU is not just a blue flag with 12 stars, and an anthem (4 movement of the Beethoven 9th symphony – Ode an die Freude). Europe haws a common European identification. We share the ideas of equality, democracy, human rights. We share the specific Judeo-Christian tradition, rich culture, heritage of modernity, philosophy, good life, exceptional food and wine (especially if you try excellent Slovenian wine). After the fall of the European Constitution we need a new definition of Europe - a vision of Europe that will mobilize people with less technocratic pragmatism and more efficient politics. The ongoing crisis of EU appears as crisis of economy and finance. But that’s not the whole truth. The crisis which started in 2008 was imported: as always, blame America for it. But we should not behave as Hegel’s beautiful soul, saying that we have nothing to do with this. We should also address the question of European identity and lack of vision. In final analysis we need a decision to make the EU a global player with soft and hard power; and to decide, what is the future of the Union – the United States of Europe, a Federation, a Confederation, a Union of independent national states or just a Common market. My answer would be: United States of Europe as modern and effective federation. We need a lot of patience to make the EU come out of crisis. And we need to be prepared to new and different possibilities. We, Europeans, need to open trans-European debate, reformulate our problems, but also fell responsibility for the other parts of the world. Great and unique legacy of Europe is worth fighting for - because we learn from our mistakes. And because I am Slovenian I am also an unconditional defender of the EU. True fidelity is only possible in the form of resurrection: our common European return to “more Europe” looks like Hollywood comedies of re-marriage – the only true marriage is the second marriage (to the same person).